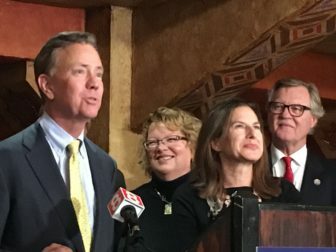 Gov.-elect Ned Lamont launched a series of strategic economic development tours Friday with a visit to Connecticut’s southeastern corner, saying the region exemplifies the state’s potential for growth. Nice “victory lap” getting press attention. Everyone understands the Governor faces a “mission impossible”. Past is prologue in CT. Democrats largely were responsible for our decade long stagnant economy. Now they have another chance to demonstrate their “skills”. Lucky us. No wonder the “smart monies’ are calling the movers. Just take a look at high end homes for sale in the Gold Coat. Or Norwalk. Your broken record post after post is a bit much.. Have you considered moving instead of constantly complaining. Ron your obviously not a home owner, we lost $100,000 on or property where selling means going to the bank with a check to get out with just Firetree alone. Homeowners can leave anytime and leave any investment profit behind. Connecticut’s southeastern corner? What rep from there did Norwalk send. Ever think even a Democrat like Ned knows who got the State into this mess? Lets see how much money comes to Norwalk, we did get all that money for the Bridge money for Ryan park which by the way sits there unfinished and the remediation at the schools via laws that made it twice expensive via Duff Perone and environmental unions. I don’t see any future problems do you? stagnant economy? Norwalks mascot is the Tyvek Temple any idea how we hide that from new business looking at the city with the above credits to Norwalk future? The bars thrive in cities like ours major dining rooms in the city are replaced with food trucks. This is why the only place in Ct to buy into is its trailer parks , when you leave you can take it all with you . 18 Connecticut Community Colleges out of 97 Connecticut Colleges, Community Colleges, and Trade Schools. Take the 50 million add largest merger of community colleges in New England’s history where saving 28 million in Cts where Higher education has regularly been targeted for cuts to close state budget deficits and what do you get? 25,000 skilled workers over the next decade is the projected number of workers needed . we have what over 60.000 in community colleges right now? hospitality business? No reason for a hotel in Norwalk was there? Right before the election the State was notified a few large companies were leaving the State , it was not who was going to win or lose its all about what we have already. This mall was planned when the State was just admitting things were bad, wonder what they are planning now that tolls are coming? “smart monies’ are what the mall stockholders were banking on. Since this mall broke ground two other malls and an outlet mall have opened within reach less the tolls another mall planned in Bridgeport at the suspected casino another in Stratford. Whats our $600 million dollar mall going to need from the city when it opens? declining housing values doesn’t buttress City Hall’s claim that “Norwalk is CT’s Greatest City”. New comers are not buying homes here becasue of punitive property taxes and fears of further declines in housing prices. Shouldn’t we be “concerned”. Especially when Danbury spends 30% less per capita than Norwalk on providing City services. Norwalk has the smallest proportion of its Grand List from business of any major in the State. Can you explain why business avoids Norwalk surrounded by wealthy Gold Coast towns. Should we be concerned that Norwalk is the County’s most transient City where renters are now 40% up from 30% and moving closer to Bridgeport’s 60% figure. Or should we just trust our City’s leadership to do “better’. Let us know please. There still are some resident old timers who remember 3 and 4 decades when Norwalk was recognized as one of CT’s best governed communities. With low City worker salaries, low property taxes, appreciating home values and new homeowners anxiously buying up homes as soon as they were listed for sale. Now we have highly paid City workers and falling property values. See any connection here ? Do you just make stuff up?